A note from Keith: I enjoyed reading the stories that Fritz Lieber wrote and when the chance came to illustrate something from his word, I was thrilled. 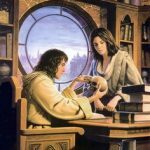 Swords and Sorcery are at the root of fantasy art, and while it has moved in different directions and matured, it’s still some of my favorite subject matter. In the dead of the night, a ghastly fog shrouds the deserted streets. Doors are locked, windows shuttered, as a deathly silence haunts the shadows. Almost all of Lankhmar’s citizens cower in their homes. 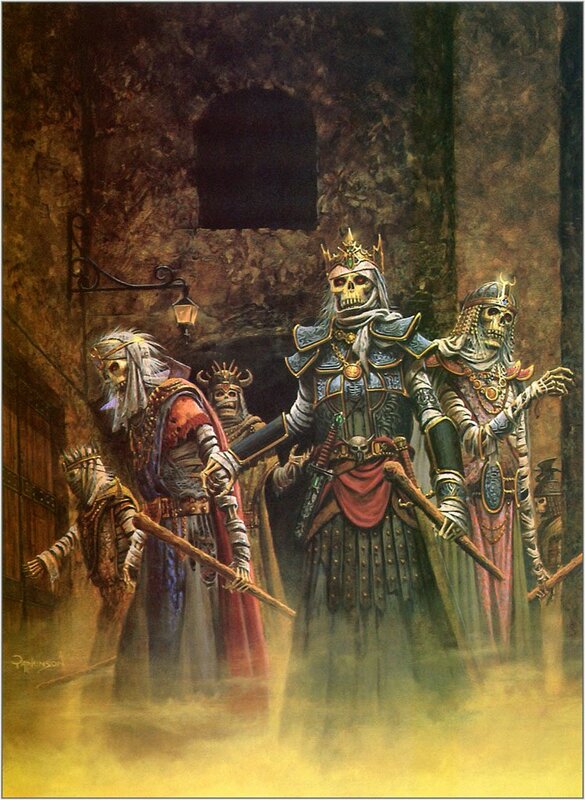 Tonight the streets and alleys of Lankhmar belong to the ancient gods – this is the Night of Fear. Whose life will be lost this night – a lonely wench abandoned in the street? Perhaps a young noblewoman betrayed by her family? 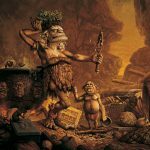 You can find out, as you venture into the dark and winding streets of Lankhmar. But beware, eyes are already watching you. (txt copied from Amazon page promoting this book).